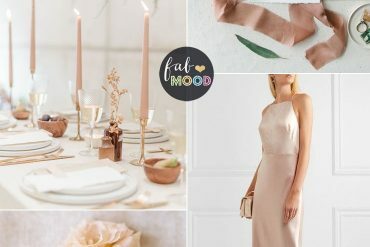 Oh the weather outside is frightful… that’s why we’re escaping the cold by turning to this fabulously unique wedding shoot from Natalya Obukhova. 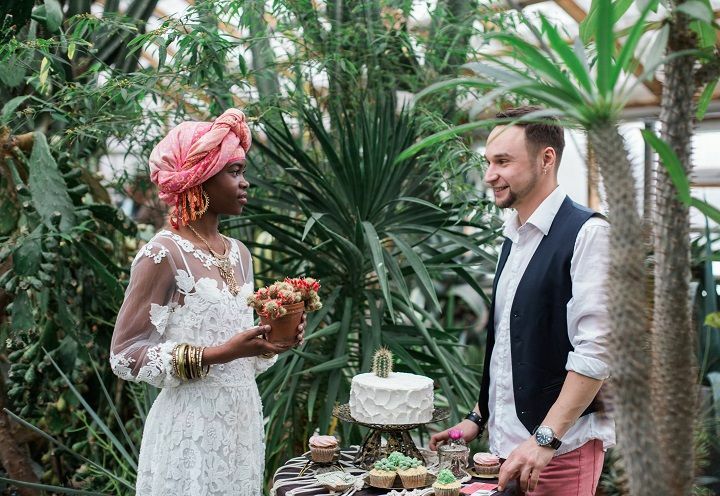 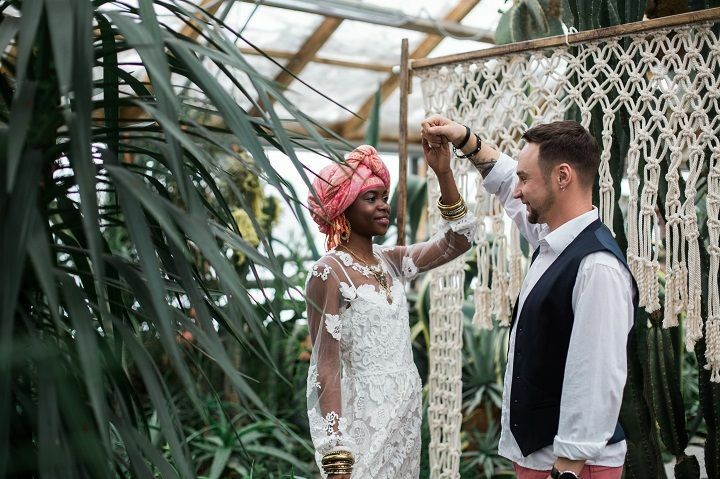 The event is set up inside the warm greenhouse of the Botanical Garden, which the photographer reminds us is a great wedding location, as it’s a comfortable temperature and protected from rain year-round! 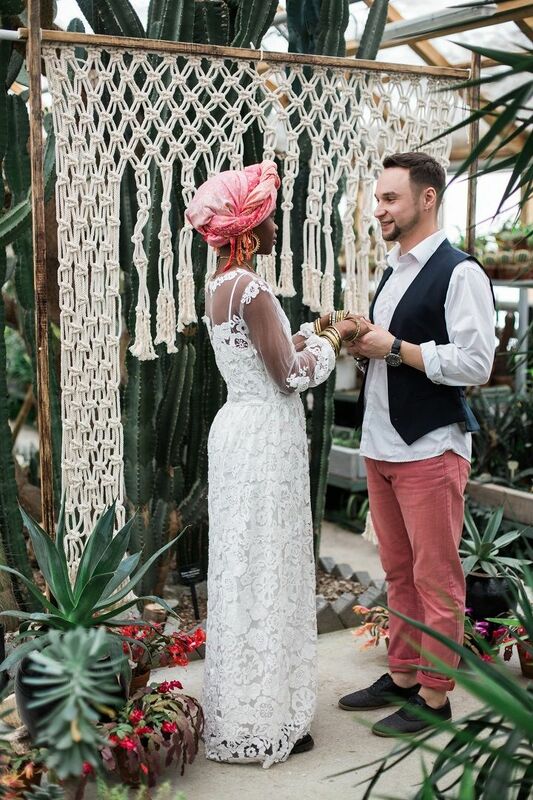 Surrounded by cacti, our bride manages to look extra cozy. 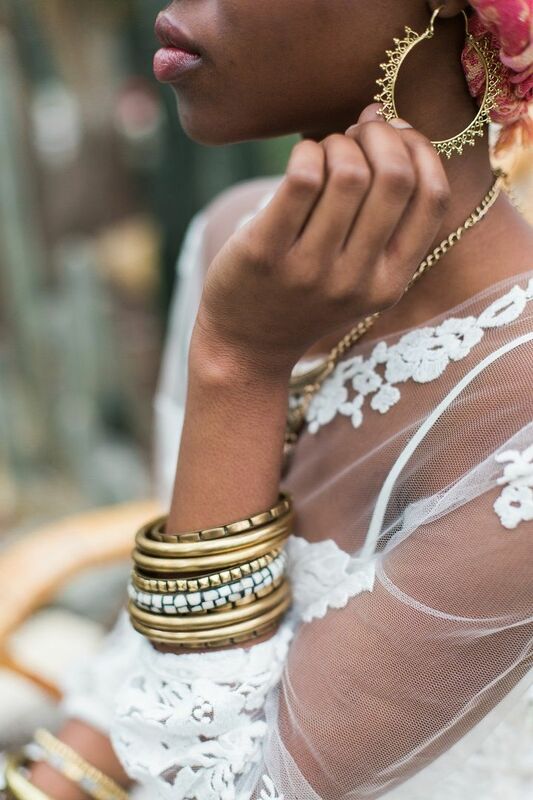 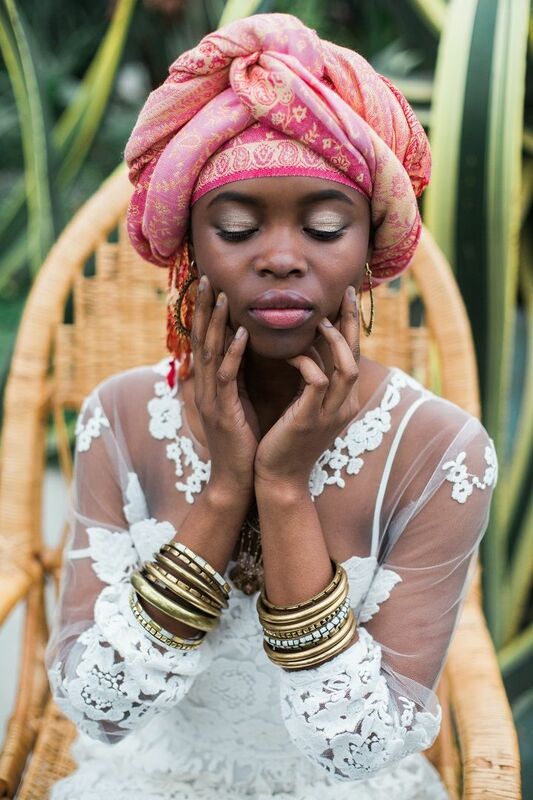 Not to mention how absolutely stunning she is styled, with bracelets lining each wrist and a beautiful turban wrap really accentuating her features and drawing attention to her heritage. 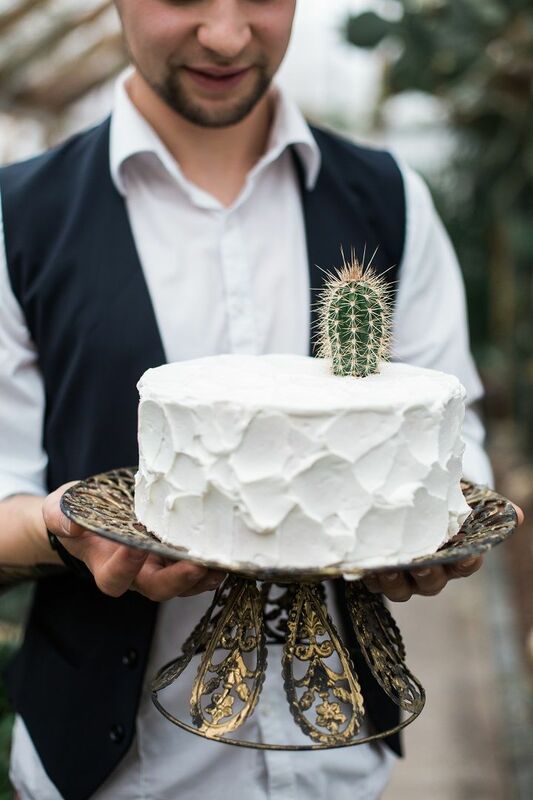 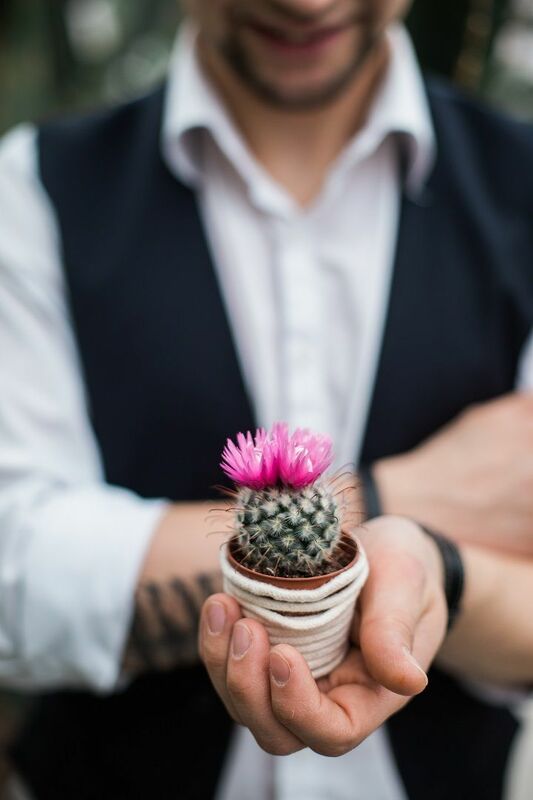 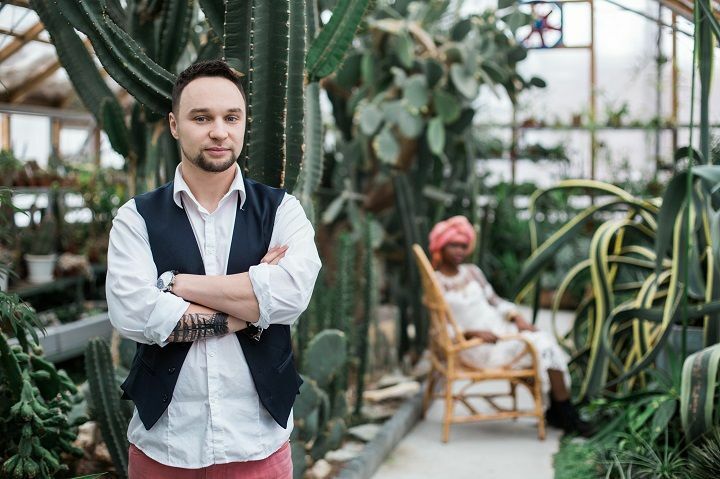 Using cacti as the inspiration and wedding theme, the team and Natalya Obukhova Photography created an intimate wedding setting for just the bride and groom, showing us that sometimes less really is more. 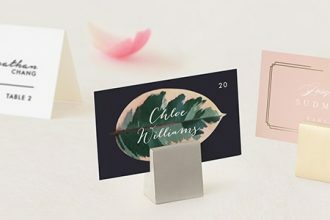 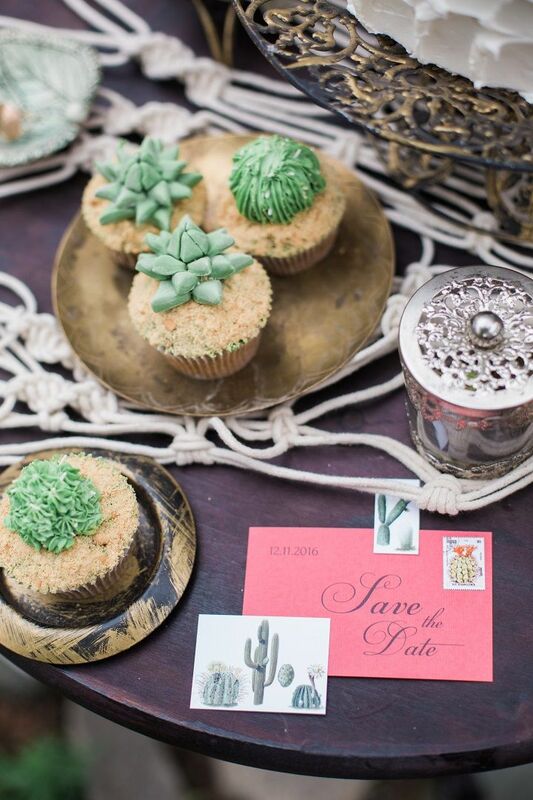 From the stamps used on their Save the Date cards to the adorable cactus-design frosting on the cupcakes, everything echoes the same theme and gives harmony to the event. 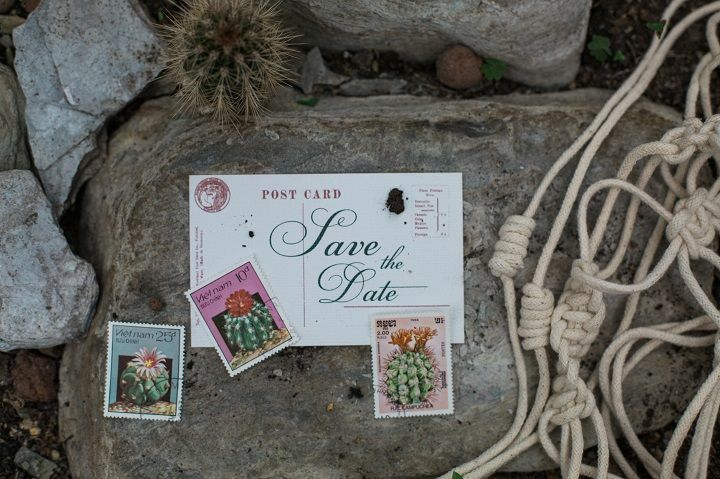 Subtle green and immaculate white with a pinch of rusty red, the colours are warm and comfortable. 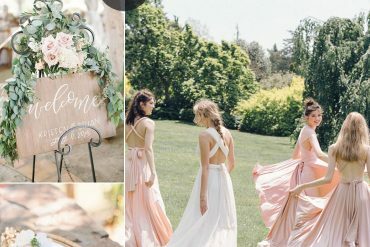 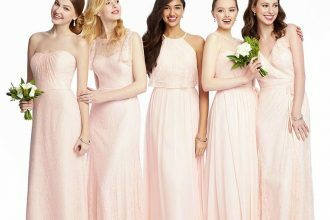 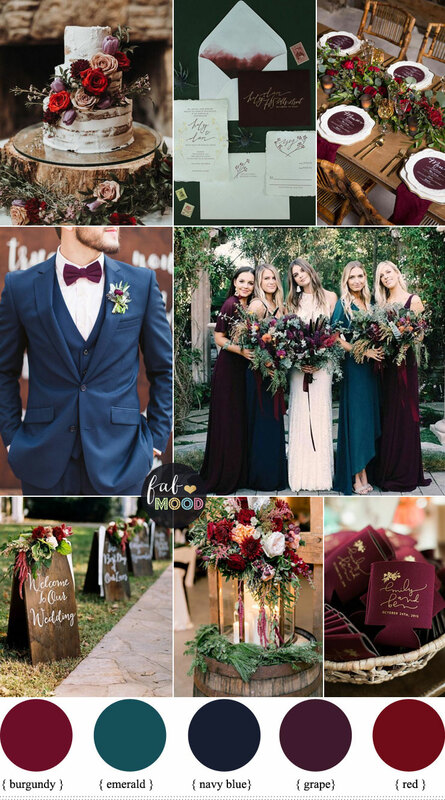 This takes us away to a faraway place and inspires us with ideas for warmer wedding days to come! 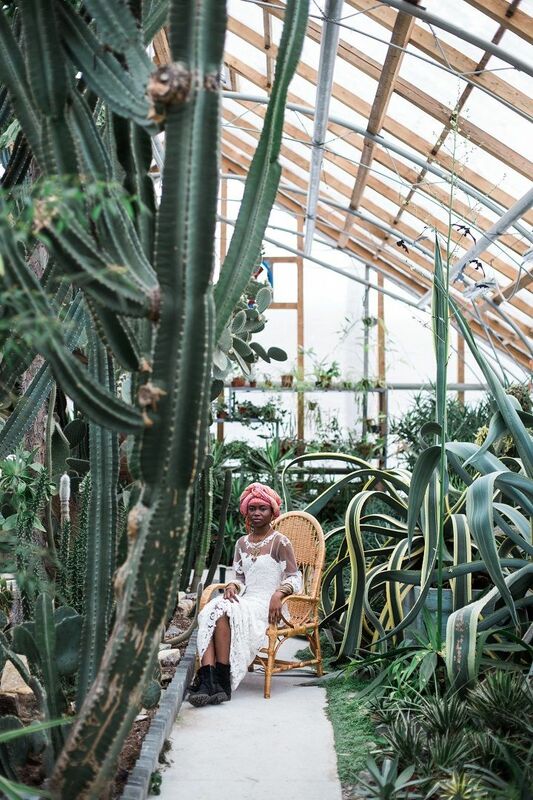 From Natalya Obukhova…When it’s very cold outside you can always find a warm place in Botanicl garden and enjoy lots of cactuses. 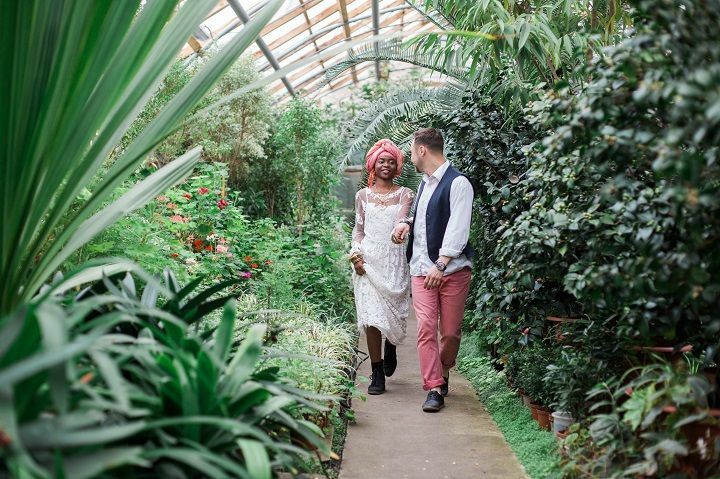 This place inspired all our team to show that a small wedding just for two can be very special and can show what you really like. 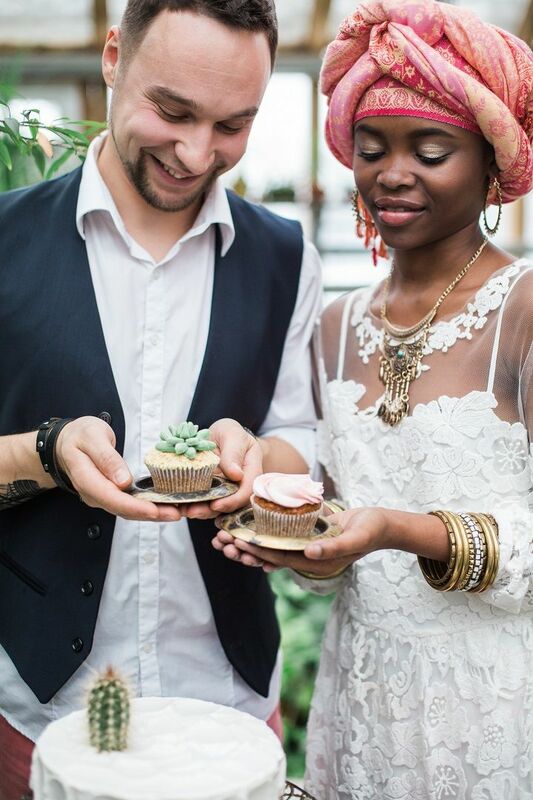 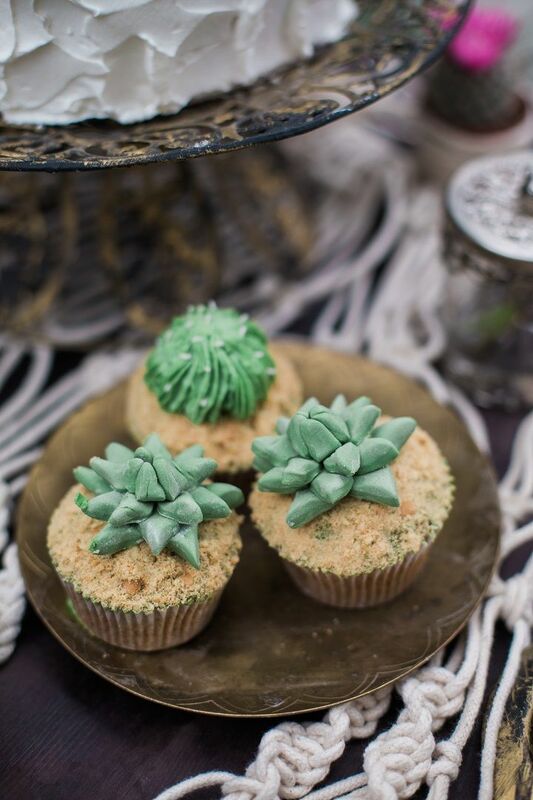 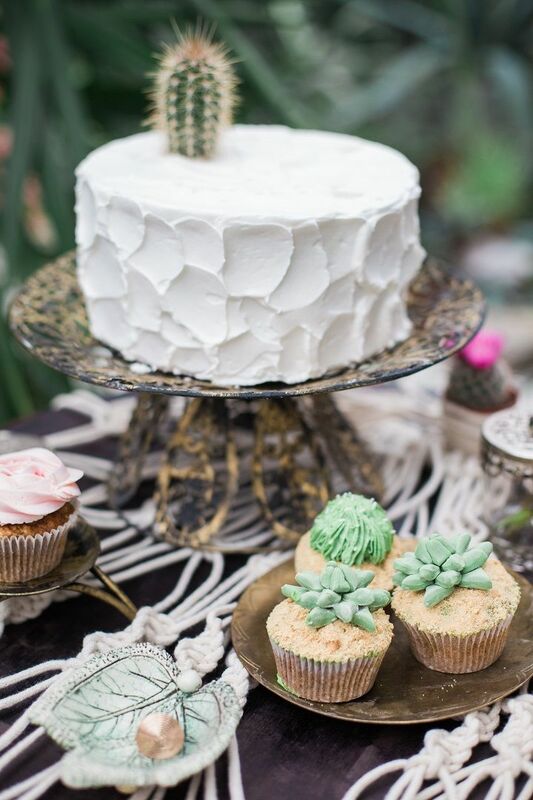 Cactuses is the main theme of the shoot and you can see it on cake and even cupcakes look like small cactuses. 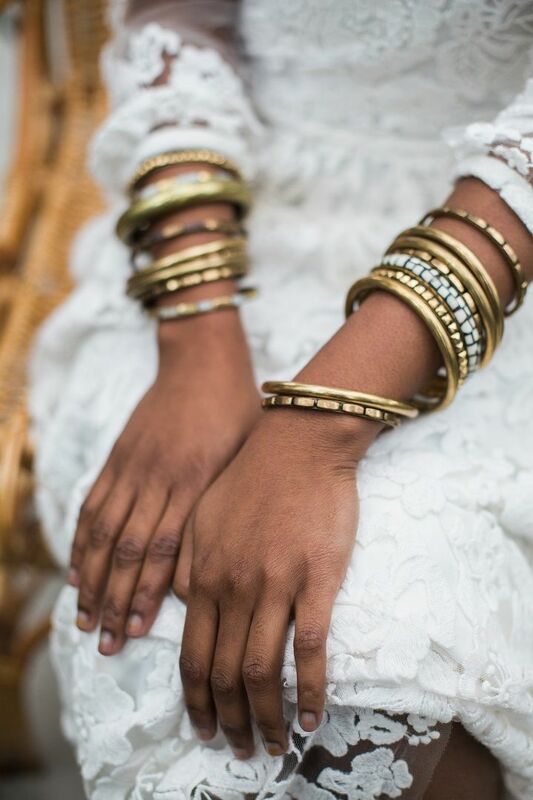 We tried to emphasise the beauty of the bride using lots of braslets. 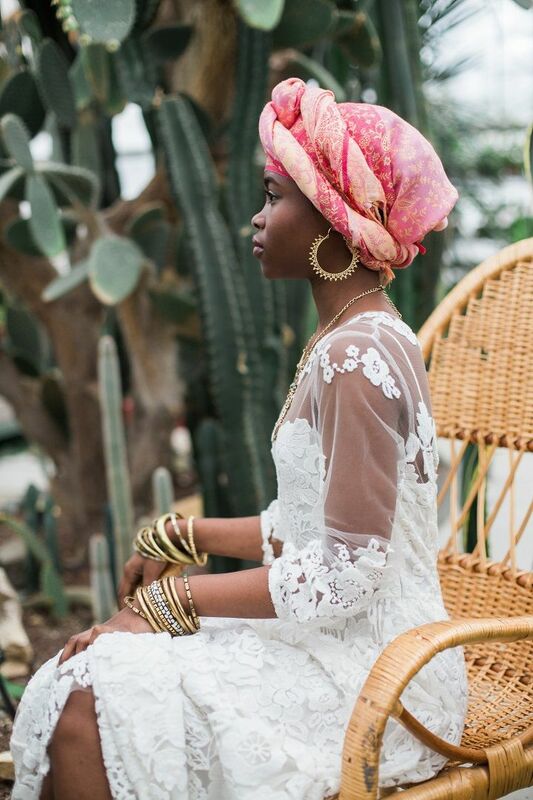 The main colours are white which you can see in dress, green – everything that surrounds the couple and pink which see in turban of the bride and in trousers of the groom. 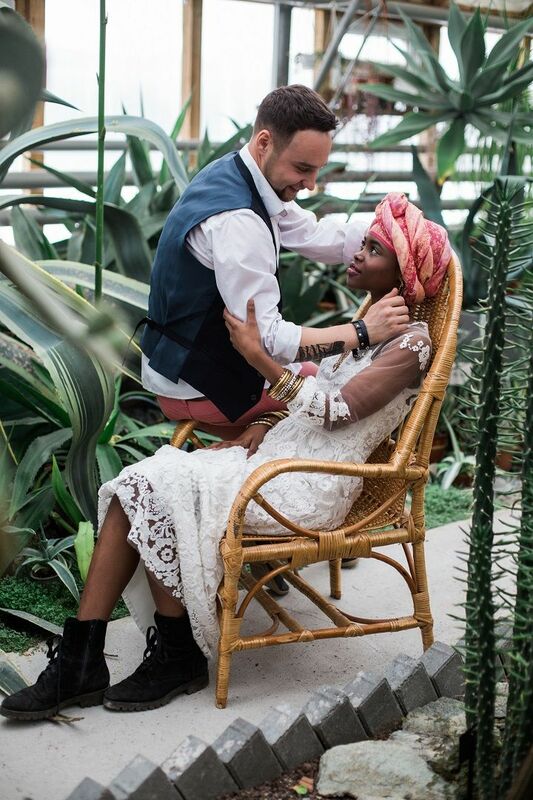 Everything is in harmony and the couple feels like at home, relax and show their feelings.